Directors and choreographers can easily get overwhelmed with and distracted by all we hope to accomplish in a single practice. Yes, adding an extra rehearsal here and there would likely help, but we often don’t have the luxury due to schedule conflicts or lack of resources. Instead, we must make the best use of the precious time that we have. Over-scheduled, over-committed and over-stretched – it’s no wonder that frustration levels soar when we feel unproductive in rehearsal. We’ve all been there: the dance instructor or choreographer seems woefully unprepared; the awkward, pregnant pauses while dancers exchange knowing glances; and the miscellaneous fidgeting from reviewing choreography to surreptitiously checking messages in a futile attempt to at least get something done. It’s not a fun situation for anyone in that studio – least of all the choreographer. To help you minimize panic, here are ten tips that will not only boost rehearsal efficiency, but also reduce anxiety and deliver a sense of control. Most importantly, by approaching rehearsal in an organized and thoughtful manner, your mind will be free and clear to focus on the heart of dancing: the creativity. Although most seasoned directors can probably wing a decent class or rehearsal, set your heart on a particular goal or set of goals to truly maximize time. Building a plan for rehearsal and allotting a certain amount of time for each agenda item is a good way to keep objectives in check. Once you have your heart set, it’s time to let it sing. Communicating the rehearsal goals and agenda to your dancers helps them prepare mentally and physically, and enables everyone to work together to meet the common objectives. It will also show that their time in rehearsal will be well spent. Demonstrate regard for your dancers by starting rehearsal right on time. Even if only a fraction of the group is present, this custom is a surefire way to strike a chord in their hearts. It conveys appreciation to those who are punctual and encourages others to do the same. If you respect your dancers’ time, they will respect yours. Chances are, we all have a few stalwart warm-up exercises in our repertoire that will not only get the job done, but get it done well. Purposeful repetition builds neural pathways, allowing the technique to become more autonomous. When we know an exercise by heart, dancers have the opportunity to focus on technique without thinking too much about the steps or the sequence. And it is also a surprising time saver. Rather than spending precious minutes on a detailed explanation of the exercise, directors can instead pause to provide meaningful feedback and critique. All that said, too much repetition can backfire; dancers may lose attention as they go out for a “mental vanilla chai latte”. Try switching up the exercises once a month and adjust the cadence as needed. To make your heart beat a little faster during technique exercises, combine closely related movements into a single exercise. Footwork, tendus and dégagés, for example, can all be mixed and matched. Consider working in sun salutations to not only generate heat throughout, but also to elongate the spine, stretch the hamstrings, and strengthen the core, chest and whole upper body. Do your heart some good by splitting a hefty agenda item into sub-parts. For instance, if a trio section is rehearsing, ask the remaining dancers to work together to review or clean other parts. Or, if there is a considerable amount of choreography to learn, see if you can enlist the help of another dancer to pre-teach her the choreography before rehearsal. Have her lead one group while you work with the others. You can fine tune anything that gets lost in translation later in rehearsal. Recognize that despite your well-laid plans, it may be impossible to get through everything on the list. When a change of heart is in order, identify your priorities and decide where to invest the time. Have a show coming up? Concentrate on cleaning and rehearsing the pieces for the gig and perhaps shelve new choreography until the following rehearsal. Have a limited amount of time with a guest choreographer? Focus on “getting the choreography out” and then create some opportunities and tools, such as online videos, to help the dancers digest the material. Periodically, no matter how much we prepare, things will go awry in rehearsal. Avoid complete derailment by having a heart to heart with the group. First, acknowledge that the practice is not going as planned. Letting the dancers know you are aware of the situation will instantly alleviate some of the frustration. While it makes sense to spend some time attempting to right the train, there are occasions where it is best just to apologize, abort and move on to other work. A foolproof way to the choreographer’s heart is to retain and recall the countless notes and corrections delivered in rehearsal. Write down the key changes and adjustments during practice. At the next rehearsal, test for retention prior to running the piece by asking the dancers what changes they remember and then fill in the gaps. After a particularly grueling rehearsal, sometimes we need to remind ourselves why we take the time out of our day and push our bodies to the brink. Give your dancers a shot in the arm by ending rehearsal with a piece the group knows well. You know the one. The one that just feels good. The one no one has to think about. The one they nail every time. The studio will be teeming with that magical, electric energy that can be created in no other way. In other words, let them dance their hearts out. Jessica Goepfert has been choreographing, teaching and performing professionally for over 15 years throughout New England. She is the co-founder and director of Cambridge Dance Company and currently runs the Suffolk University Dance Company. 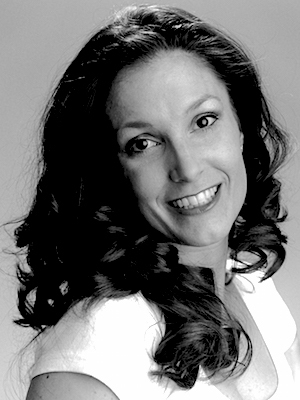 Jessica has an MBA from Babson College and a BA in Dance from Connecticut College. 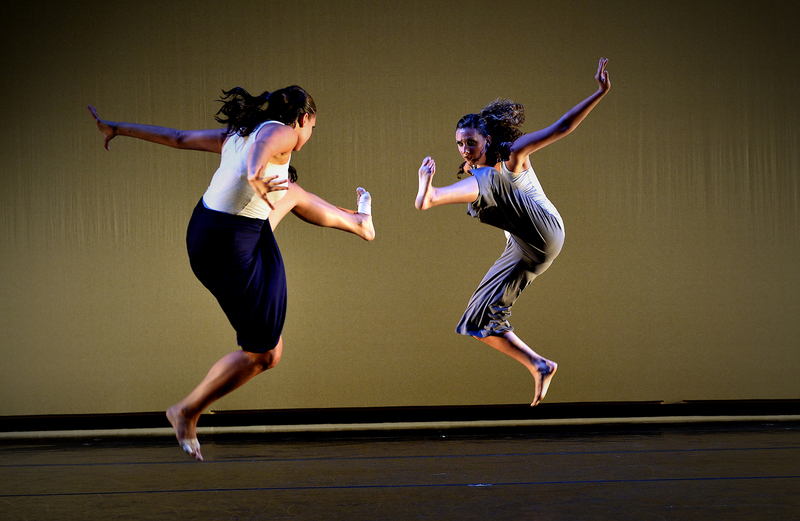 Follow Cambridge Dance Company on Facebook, Twitter, Instagram and Youtube @CambridgeDance. Jessica, this is all excellent advice. I especially endorse #8 – the apologize and move on. Sometimes things just don’t work out the way you intend, no matter how hard you or the dancers try. If I don’t get a chance to apologize I will sometimes thank the dancers for their patience in an email when I am sending along rehearsal vids for them to look at. On another note, you look so familiar to me and are in an area I lived in for most of my life (Boston and Connecticut). I wonder if we met at some point.